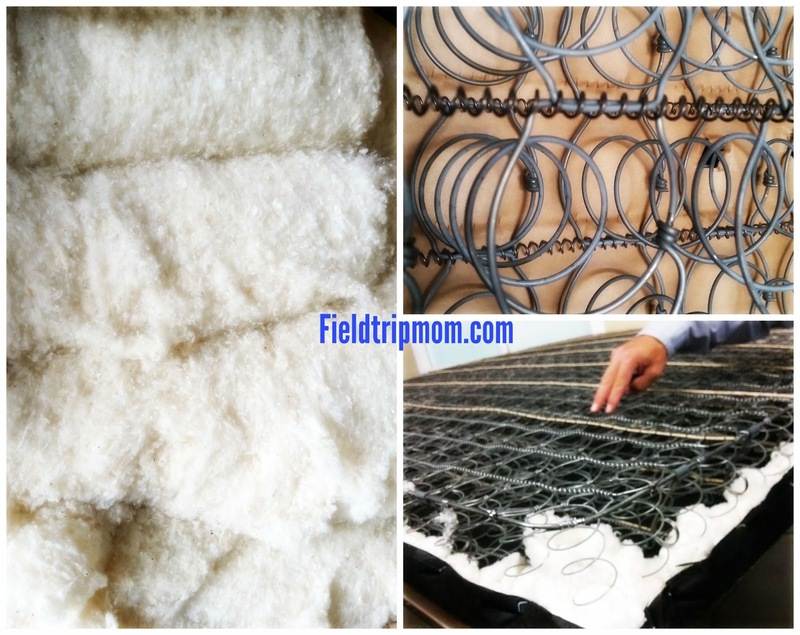 Field Trip Mom : Factory Tours and Museums in Southern California. (1.) Learn how traditional hand-crafted mattresses are assembled by visiting the Custom Comfort factory. It takes approximately 14 hours for a mattress to be completed from beginning to end. Each step of the way human hands give it the special touch to make it the most comfortable bed. Custom Comfort Corporate office is located in Orange, CA. The small business welcomes all who want to learn about the process of making quality mattresses. Their website encourages tours of their facility. You must first make an appointment by phone at (714) 693-6195 to schedule a factory tour. Tours are given during business hours and are about an hour long. Schools, educators and parents who homeschool are encouraged to visit. Custom Comfort is family owned and they are proud to make handcrafted luxury mattresses. This is very evident throughout the tour as you will see. 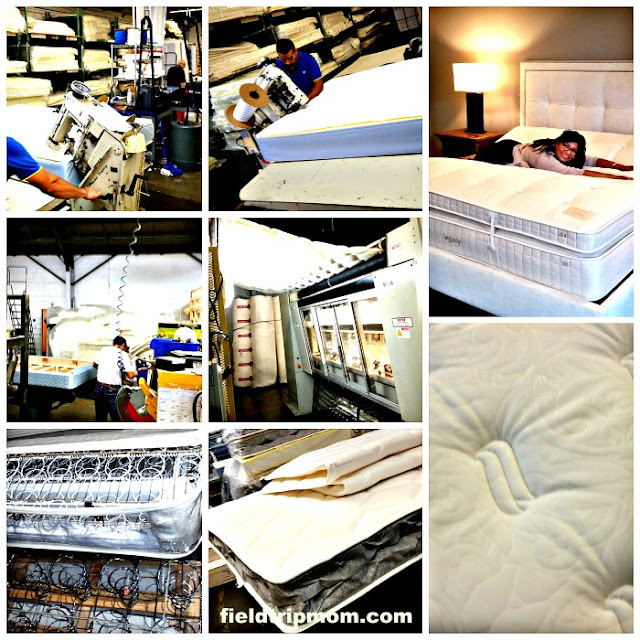 Each mattress is handled by human-hands and made to order. Their turn around time is about (2) days for a custom mattress. 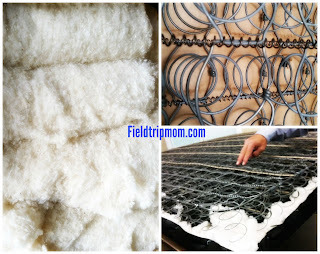 As you tour the facility, you will be able to feel the fabrics and materials that are used. The tour-guide will explain how each piece is made and the equipment that they use. Sewing machines, quilters and employees hand-sewing mattresses are among some of the things you will experience. The largest swivel tables, the size of Texas, hold mattresses for assembly. The entire experience left us inspired to think about our bed. A must experience tour for anyone with a bed. I highly recommend that you take one. Happy dreams. Suggestions - Age for this tour is 10 years or older with the ability to focus and pay attention to instructions. Participant must be able to stand and walk for about an hour. Wearing comfortable shoes is highly recommended. Attire should be casual with long pants and closed toe shoes. Allow for 15 minutes to find parking. Parking spaces are limited. (2. 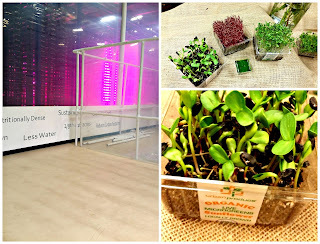 )Discover Micro-greens at Urban Produce. There you will find Kale, Basil and more growing in a controlled environment with delicious results. Locally grown produce and herbs is the latest in sustainable living. Urban Produce is located in Irvine, California. Their indoor farm is a short distance from the (5) freeway and the (405) off Bake Blvd. Micro greens are fresh, organic, healthy and locally grown. They are produced for local restaurants, markets and organic juice bars. Product is made to order with a (7) day turn around. These micro greens offer (4-6) more times the vitamins of that of fully grown produce. Here, the motto is, "a little goes a long way." Micro greens may be consumed in a salad, sauces, juice or any meal that you would add vegetables. Some of the produce they offer at Urban Produce include basil, broccoli, cabbage, cauliflower, collards, cress, daikon, kale, parsley and radishes. A regular micro green is between 1" to 2", stem with two cotyledon leaves, which are the two leaves that first emerge from a seed after the plant germinates. Baby plants are thought to be extremely healthier than the full grown vegetable or herb. For this reason, Micro greens are great for your next meal. Top chef's and gourmet kitchens are some of the biggest customers of organic micro green produce. Visit the indoor farm and find out first-hand how the world of produce is changing. Call first to make an appointment. Suggestions: This tour is open to public schools and media. Call ahead to make arrangements: 949-600-9888. Photographs of the indoor farm require permission. The facility requires person(s) to wear hair nets and shoe booties. Cleanliness is a top priority and enforced. (3. 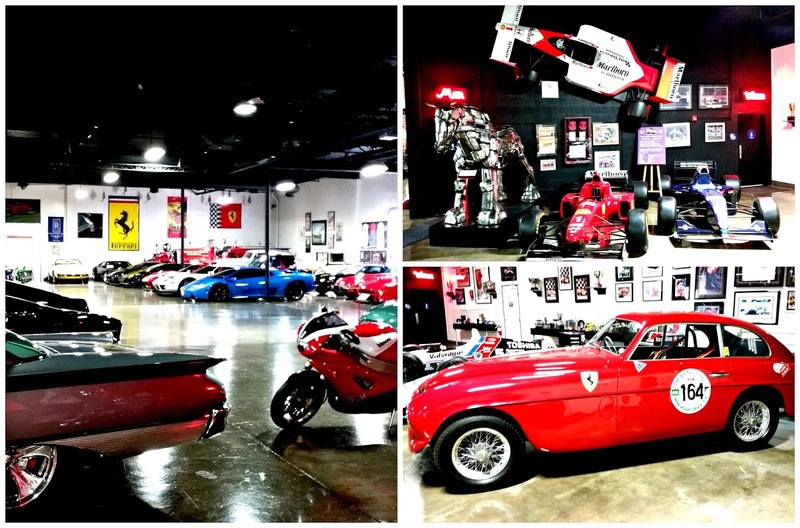 )Experience a 30 million dollar car collection first-hand and find your racing side at the Marconi Automobile Museum. The automobile museum is working hard to help at risk children. Mr. Marconi will encourage you to "Learn, Earn and Return" to our community. 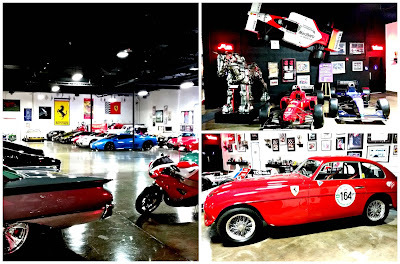 Marconi Automotive Museum located in Tustin, California. Over 70 luxury car and estimated value of $30 million dollars are on display for the general public to visit. The museum allows visitors to experience the automobiles up close. Ferrari's, Lamborghini, Porsche, Mercedes, muscle cars, BMW Race cars and many luxury vehicles can be seen at close range. It is a car-lovers dream. The museum hosts many social events throughout the year. Mr.Marconi's personal story of overcoming struggles has made him understand that children are important for our future. As a result of wanting to make a difference, he and his family opened the Marconi museum to help at risk children. Admission donations are used to help at risk children. The museum opens it's doors to social events and closes it doors to the general public during these events. Please call to find out the hours of operation. Suggestion: The museum recommends a $5.00 donation for adults and children are free. All of the vehicles are accessible to the public to photograph and admire. Wear comfortable shoes. It is a car-lovers dream. This is a must see museum in Southern California. 1302 Industrial Drive, Tustin, CA 92780. We took a short drive to see the "Heart and Seoul": Growing up in Korea exhibit displayed at Pretend City Children's museum. The family first saw a video of everyday life in Seoul, Korea. The video was vibrant and full of the city bustle and it made us want to see more. The perfect introduction to the other (8) exhibits highlighting Korean life: Korea Plaza, Korea K-Pop Stars Studio, Animation Studio, Restuarant, Apartment, Classroom and Hanok Guest House. The classroom had musical instruments that we were able to play. Desks were placed for visitors to sit and watch a short documentary on Korean School life. The documentary shared many fun moments of school life. Our favorite was when the pre-school children had lunch in the school's cafeteria because they drank hot soup without spilling. Moving through the exhibits was both inspiring and educational. Our final stop was the Apartment exhibit which included trying on traditional clothing. It was fun to try on beautiful garments and feel special. Alright, I loved it more than the kids because the dresses were beautiful. Overall our experience was unique and unforgetable. Suggestion: I recommend that you bring your toddlers and get them started on hands on exhibits. 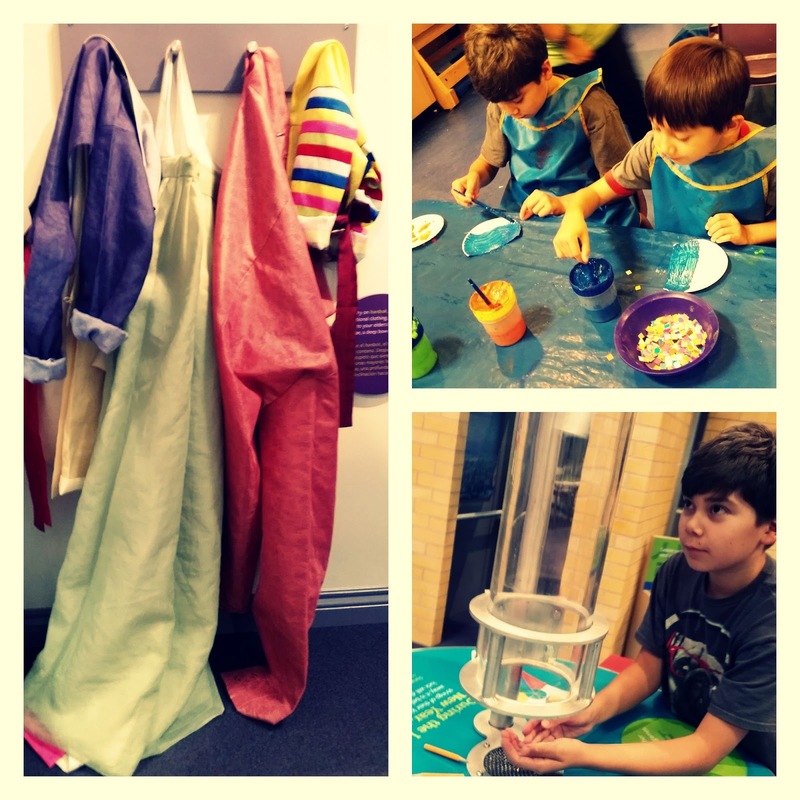 Children ages 0-8 years old will enjoy the many toys, crafts and play opportunities that this museum has to offer. Bring your child's play driver's license and have him/her drive through the streets in a plastic car. Bring a light snack and be prepared to stay for a few hours. Buy an annual pass and go as many times as you want. Perfect place to make friends for new moms. 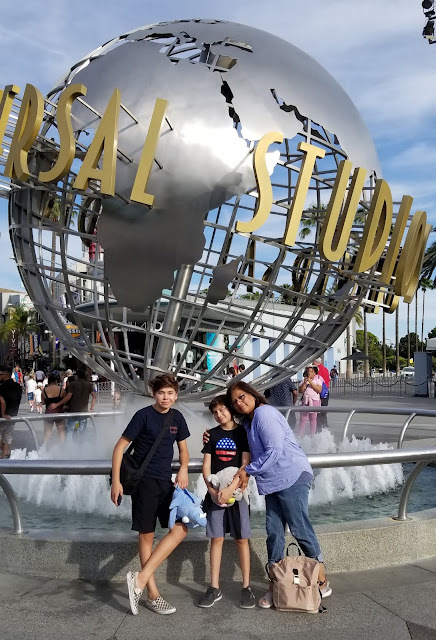 Have a wonderful time exploring Southern California.